Is Danny Watkins The Right Choice? 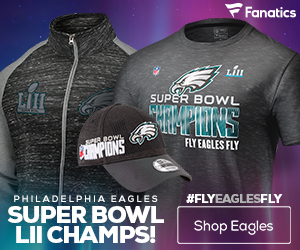 When the NFL Draft was ticking down to the Philadelphia Eagles pick, there were a number of rumors circulating that the Eagles had plans to trade-down to one of the many quarterback needy teams. The Eagles elected not to trade down and elected to fill a need on the offensive line with Danny Watkins, a guard from Baylor. This came as a surprise to most Eagles’ fans, as not only did the Eagles pass on a promising corner in Jimmy Smith, but they also elected not to take the top ranked lineman available in Gabe Carimi. Need Filled: The good part about the Eagles taking Watkins is that it fills much needed hole in the Eagles starting lineup. The Eagles offensive line was simply awful last season and Watkins could be the guy that turns that all around. Watkins is essentially a big body that can.. Well.. Block. He is a guard that can cover Michael Vick’s blindside off the snap, and hopefully can successfully hold a double team. Big Body On The Line: Another positive to the Eagles drafting Watkins is that he is a big body to play on a weak offensive line. That means that even if he falls behind on a block, his massive size should should still buy some extra time for Vick in the backfield. The Eagles had a big problem last season keeping that right side of the line locked down, and hopefully Watkins’ size and quick feet should allow Vick to find the open man. Good Character: Watkins comes from a hard working team at Baylor and he is also a volunteer firefighter, which shows good motivation and personal values. The Eagles are hoping this translates to his immediate success on the field as a hard worker who is ready to commit time to improving his play. Andy Reid must have seen something, or found something about the kid in the Eagles interview, and that made him think he was worth a first round pick. Jimmy Smith Pass: The biggest con of the Eagles taking Watkins is fairly obvious. They passed on Colorado cornerback, Jimmy Smith. The Eagles really had two needs they had to address in the first round, a cornerback and an offensive lineman. It seemed to be the general feeling that if Smith slid all the way to Philadelphia he was a sure-fire pick as his talent was too good for the Eagles to pass up on. Although the characters issues surrounding him seemed to be a concern for the Eagles as they elected to pass on the troubled corner. Gabe Carimi Pass: In a bit of a surprising move, the Eagles passed over Gabe Carimi who was one of the top lineman coming out of this draft class. The Wisconsin lineman was drawing comparisons to Joe Thomas in the NFL, and would have seemed to be a perfect fit for the Eagles. The only reason I can think of that the Eagles would pass over a lineman as talented as Carimi is because he was primarily a run-blocker in college and has no experience in a pass heavy offense. Inexperience in Football: It’s actually really kind of impressive that Watkins was able to become a first round draft pick after playing football for only three years of his life. The Baylor guard started playing football in 2007 and had never played previous to that. He was quickly thrown onto the offensive line, and there have been questions surrounding his transition into the NFL with so little experience. Watkins’ Age: The biggest issue with Watkins as a player that I can see, is his age. Coming into the NFL Draft, Watkins was one of the oldest players available at 26 years old. 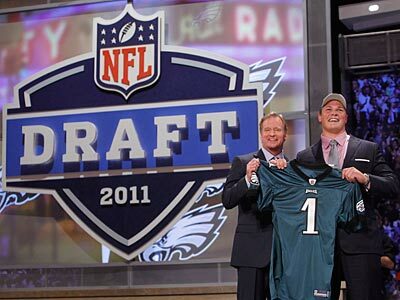 The Eagles have a young team and it’s surprising to see a player this old be taken in the first round. In just a short four seasons, Watkins will hit the 30 year old mark, which is close to where lineman start to lose effectiveness. 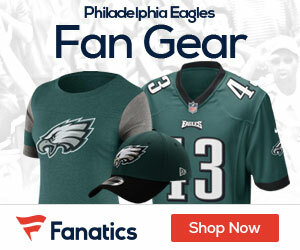 I think that the Eagles really missed out in the first round this year. Reid and the Eagles had an amazing prospective corner in Jimmy Smith sitting on the table and they elected to pass on him, to take the safest pick. Despite Smith’s character issues, I think that the combination of Asante Samuel and Smith could have become one of the best in the NFL and greatly improved the Eagles defense in the long-haul. Even though Watkins isn’t a bad pick, I think that the Eagles played it way to close to their chest in this draft and weren’t willing to gamble. There were multiple options 0n defense, even aside from Smith, that the Eagles could have taken to improve their overall defensive presence. Even a player like Da’Quan Bowers, who has had questions raised about the health of his knee, could have been a good choice. I am not ready to judge Watkins as a first round pick yet. I have not seen him play on the Eagles and what kind of affect he will have on the offense. So Philadelphia, let’s not point the finger and be upset, we still don’t even know what the kid can do!